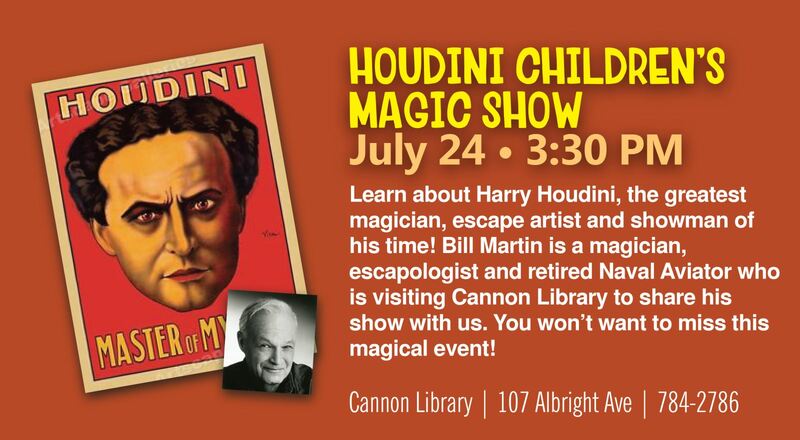 Magician and former Houdini impersonator Bill Martin will be talking about Houdini and performing magic at the Cannon Library at the Cannon Air Force Base in New Mexico on Tuesday, July 24. 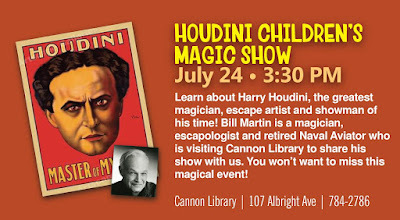 Bill performed as Houdini throughout New Mexico for many years. He also amassed an impressive collection. In 2011 he announced he was retiring from doing his Houdini act, but would still give talks and perform his magic show for kids as "Swami Salami." The Cannon Library is located at 107 W. Albright Ave - Cannon AFB, NM 88103. Visit their website for more details.